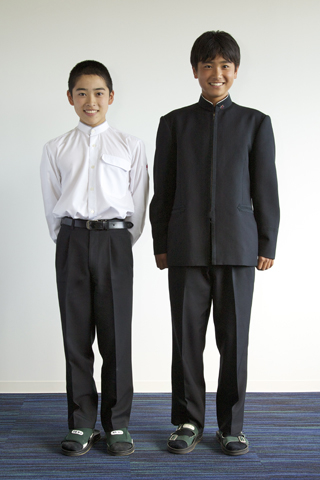 Johoku students proudly wear their uniform throughout their six years of study. The uniform consists of a traditional, black tunic with a maple leaf pin worn on the collar, the maple leaf being a symbol of Hiroshima. Under the tunic a simple white cotton shirt is worn which also has a maple leaf embroidered on the left sleeve. Alternatively, with the exception of formal occasions, students may choose to wear a black jumper as opposed to the tunic. These are worn with black trousers. In summer time the students swap their tunic and shirt for a lightweight, cool polo shirt that is ideally suited to the hot and humid Japanese summer. Students wear a white T-shirt, and navy blue shorts for P.E. lessons. They can also wear a navy blue training top and matching pants in colder seasons. 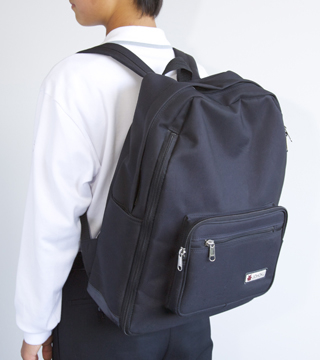 Students in the junior high school have a school bag. 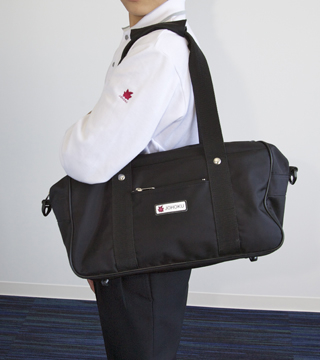 They can choose from two styles, both of which are of ample size to hold their books and other study materials.